I’ll take living in the Information Age ahead of every other era in human history, but there is something we’ve lost. The abundance and availability of data has tradeoffs. I’m not just talking Facebook privacy scandals or fake news or password hacks. I’m talking about how we’ve lost scarcity of culture. And that scarcity sometimes enhanced something’s meaning. An example: I coveted the soundtrack to A Goofy Movie when I was a kid. I loved the movie and its music. It felt like a special and unique passion of mine. I always wanted the soundtrack on CD, but never saw it in Best Buy or Wal-Mart’s selection. When online shopping became available, I started hunting for the CD. This is when I learned of its rarity: It went on Ebay or Half.com (remember that?) or Amazon used for $20+, new for $50+. I just couldn’t justify dropping that much money when my cash was so limited. There came a tipping point: Broadband internet and iTunes and file sharing. I can’t remember if I paid for it or just found it through seedier methods, but it was my sophomore or junior year of high school when I finally scored a digital copy of my long-sought treasure. I loved that soundtrack. Loved it! Listened to it a hundred times even though I had long since stopped watching the movie so religiously. I even ranked “Stand Out” my #4 favorite song of all time in one version of my Top 100 songs list. And, inevitably, I got a bit tired of it. I still love it, but not with the same passion of when it was a White Whale. I share this story because it reminds me that there is something profound in culture that is difficult to procure. It makes it seem more valuable and cool. Nowadays, you can Google any song you’ve ever heard of, find it on Spotify and YouTube in a quarter of a second. You’ll also find an acoustic version, and a hundred covers, and twelve live versions. Sure, it’s awesome for fans. A golden age. But some of the treasure-hunting magic, the feeling of exclusivity and special enthusiasm, is gone. That’s why it struck me when you shared a story on Slack: You discovered there was no version of “Twinkle Twinkle Little Star” by The Highway Jazzmen on YouTube, so you uploaded it yourself. It’s such a little thing but it feels so meaningful to me. This was something you found and you loved and made your own. You staked your virtual flag in the ground and shared it with the world. Sure, you’ve made that song less rare and special, but you did so without sacrificing your connection to it. I just looked it up again and it currently has 365 views. 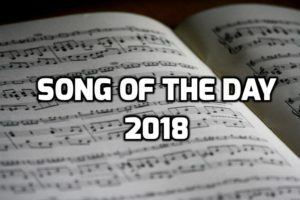 (This feels poetic to me, given that it’s one of 365 songs I’m trying to spotlight this year.) That’s small pickings by YouTube standards. But that means there are 365 people whose days you’ve brightened with a New Orleans-jazz cover of a childhood standard. That’s 365 threads connecting 18th century French schoolyards, to Mozart, to the Original Dixieland Jazz Band, to you, to me and other individual listeners. Even as we’re drowned by information and noise and abundance, there are still tiny crevices to fill with personal love. The monoculture is slowly fracturing, and YouTube videos like yours are taking its place.